WHAT IS ISO-ADVANCED™ WHEY ISOLATE PROTEIN? 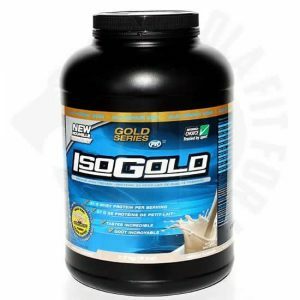 Designed to be our most advanced fastest-acting and purest form of whey protein isolate, Iso-Advanced™ contains 31 grams of pure ultra microfiltered whey protein isolate per scoop. Researchers specially formulated Iso-Advanced™ to enhance physical performance, stimulate an increased anabolic state, build lean muscle growth and enhance rapid recovery. Developed to meet the growing needs of athletes, bodybuilders and active people looking for a Whey Protein Isolate that does more than your average whey. Our formula contains well researched high-quality ingredients. 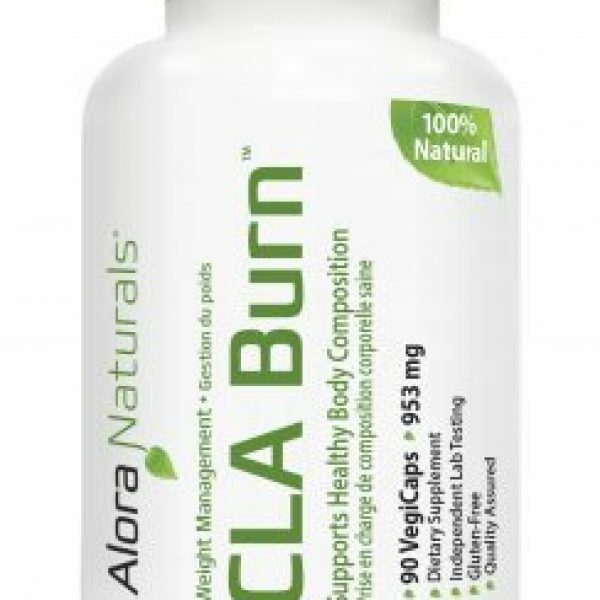 We guarantee our formula is without fillers or excipients and only contains clean, effective and pure ingredients. 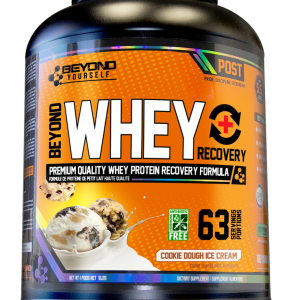 • Delivers a huge 31 grams of protein per scoop! In its native state, whey protein contains; fat, cholesterol, carbohydrates and lactose. Iso-Advanced™ is isolated using a unique cross-flow microfiltration process to remove the unwanted components such as fat and lactose. CFM® protein used in Iso-Advanced™ goes through an intense purification process isolating the most desirable aspects of whey so that everything else gets filtered out. Sure, it is expensive to produce, but Iso-Advanced™ Whey Protein is so dense, it delivers the full spectrum of amino acids naturally found in whey protein, including the highest concentration of BCAA’s for muscle preservation and endurance. ActiNOS® is an all-natural, whey derived micro-fraction that boosts nitric oxide production for sustained energy, recovery and maximum pump! 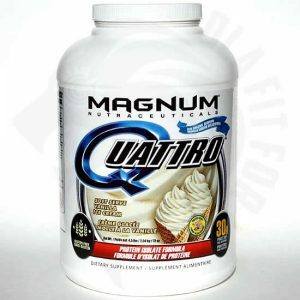 Designed to be used by athletes that are seeking great pumps, enhanced muscular growth and intense focus during workouts. a) Bioactive protein peptides in ActiNOS® bind to receptors on vascular endothelial tissue to activate the NOS enzyme. b) Activation of NOS boosts nitric oxide production thereby increasing vasodilation allowing more blood to flow into the muscles delivering more amino acids and vital nutrients for growth and recovery. Aminogen® is a vital ingredient used in ISO-ADVANCED™ because it is a patented designer enzyme that helps to make protein utilization and absorption more complete by 250%. 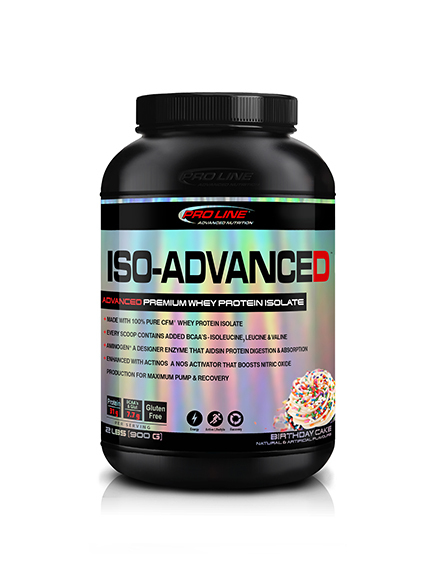 ISO-ADVANCED™ contains 31g of protein and a whopping 785 mg of Aminogen® per serving! When used at the clinical dose, the patented Aminogen® enzyme system was shown in a published clinical study to increase amino acid levels and boost nitrogen retention. Aminogen® helps break down protein and improve amino acid absorption by 100 percent. Unlike some enzymes, Aminogen® is designed to work in a range of pHs throughout the digestive tract, and in the small intestine, where amino acid absorption takes place. There is eating protein and then there is digesting it. Have you ever had a protein shake or a meal high in protein and later felt uncomfortable side effects, like gas, bloating, or constipation? This happens because undigested protein ferments in the lower intestine and may cause those unpleasant symptoms. Undigested protein means that amino acids and other important nutrients are being wasted. And unfortunately if you are spending money on quality protein, undigested protein is a waste of money too. This is where Aminogen® comes in! Aminogen® is a clinically-proven digestive enzyme system that triples the rate of protein absorption and reduces gas, bloating and constipation. 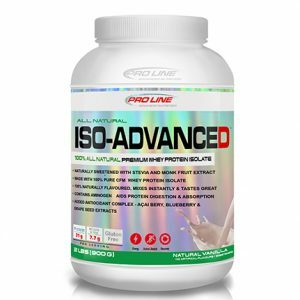 ISO-ADVANCED™ delivers a steady stream of optimal concentration levels of Branched Chain Amino Acids –L-Leucine, L-Isoleucine & L-Valine. 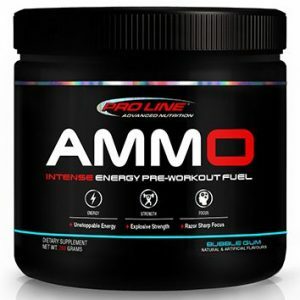 Branched Chain Amino Acids are essential amino acids that we must get from our diet since our bodies do not produce them. • L-Leucine: important for the regulation of protein synthesis and it’s essential in the building of muscle tissue. Subscribe to our mailing list for updates, tips, products and freebies! Ola Fit For Life Fitness Club is a member only accessible 24 hour fitness centre located in the heart of Downtown Cloverdale – Surrey’s oldest residential and commercial neighbourhood. At Ola Fit For Life we help motivate people beyond their doubts and self-imposed limitations. When you think you can’t make any further progress, Ola Fit For Life can help you succeed in achieving your goals! 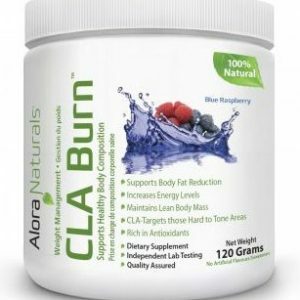 Copyright © 2018 Ola Fit For Life, AOK Wellness Inc. (Incorporated in BC, Canada) All Rights Reserved. Sign up to be the first to receive presale information for our new gym opening Summer 2018!